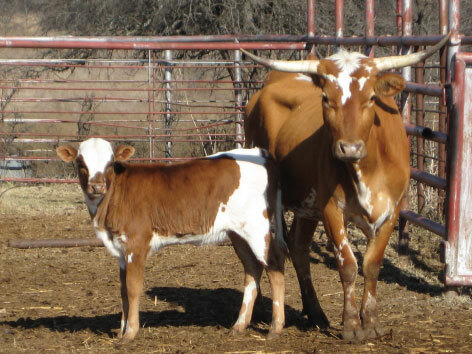 Our philosophy at the Double N Cattle Company is to breed and raise registered Texas Longhorns in Muenster, TX, with the breed's historical genetics in mind. In today's market, many breeders are focusing almost entirely on horns; and while the horn is an important part of breeding, we put as much focus on other traits as well. This venerable, tenacious, magnificent animal was known for its varied colors and mottled hide and had an average horn spread of fewer than four feet when the cattle drives of the 1880's made it famous. 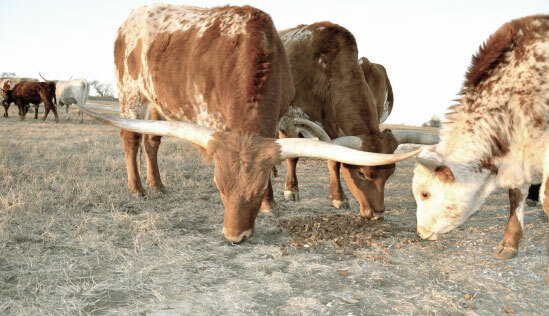 While trying to improve on these traits, we never forget the history of the registered Texas Longhorns at the Double N.
Our ranch is surrounded by Texas Longhorn history. Approximately 50 miles to the east ran the first cattle trail in Texas, the Shawnee Trail, which crossed the Red River in Grayson County. Only a few miles to our west ran the most famous of them all, the Chisolm Trail, which crossed the Red in Montague County. Millions of head of longhorn cattle, accompanied by Texas cowboys, followed these trails to railheads in Kansas and Missouri. The trailing era made the cowboy a universal folk hero. About 100 miles to our northeast lay the Wichita Mountains Wildlife Refuge, where Will C. Barnes and other Forest Service men established a national herd of purebred Texas Longhorn cattle in 1927, which is credited with saving the breed from probable extinction. 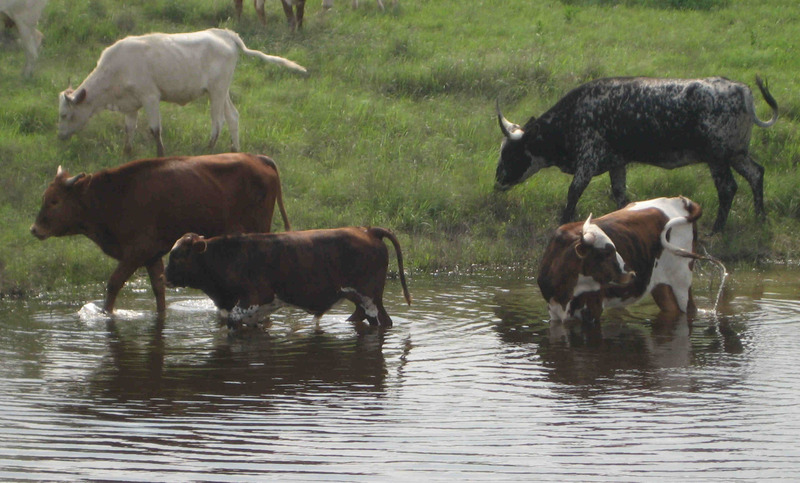 Recognizing the historical significance of our breed and location, we began offering field trips on Longhorn history to area schools in 2009 to teach students about this period of Texas history and the cattle that were a part of it. Tours are offered in the Fall and Spring of the school year. Please feel free to contact us for more information or to schedule your field trip.